What Happens When a Home Has a Low Relative Humidity? 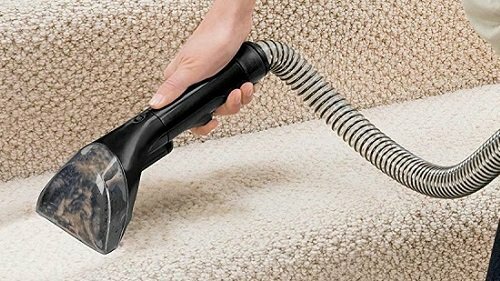 How Does Dry Indoor Air Occur? Can the Relative Humidity Be Too High? What Types of Humidifiers Are Available? What Are the Different Kinds of Whole-House Humidifiers? 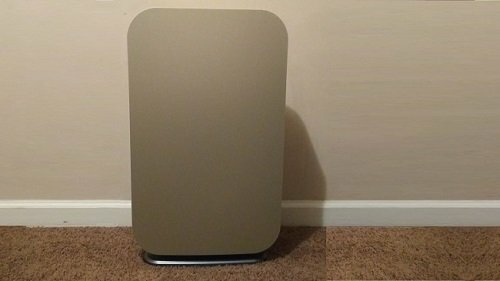 How Do Whole-House Humidifiers Compare to Portable Ones? Humidifiers are wondrous appliances. When used correctly, they have the ability to improve the overall health and wellness of you and your pets by increasing the surrounding area’s relative humidity. They can also reduce the likelihood of contracting the flu, and they are able to ease asthma and cold symptoms. Due to the moisture they put out, humidifiers can lower static electricity and safeguard wood furniture. In the winter, cold weather can cause some homes’ relative humidity levels to drop to the teens, which is well below the minimum recommended 25 percent. In turn, the people who live in these homes experience dry sinuses and general malaise. In some cases, houseplants may begin to wilt and expensive items like artwork and musical instruments can sustain permanent damage. When there is cold air outside, people tend to run their home’s heating system to maintain a livable temperature. However, water evaporates at a more rapid rate when the indoor temperature is warm. 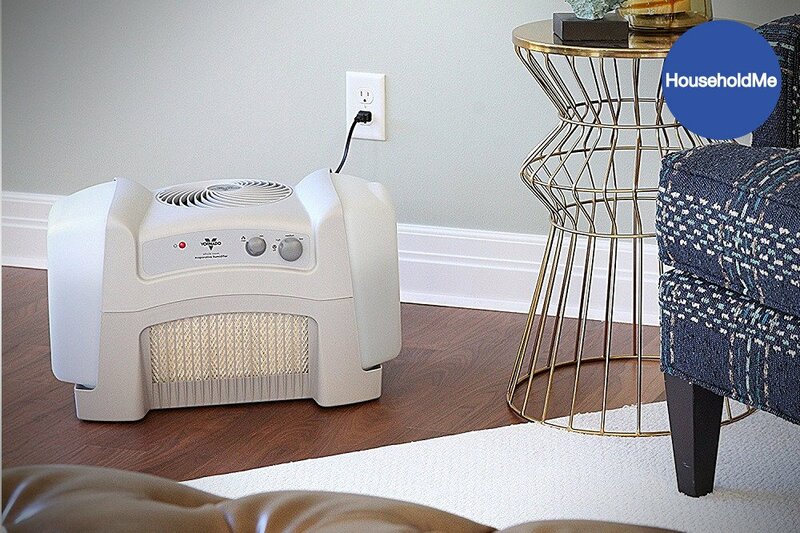 Although a heater can rectify cold temperatures, it simultaneously causes the home’s relative humidity to plummet, leading to dry air. Ideally, the air inside of any home should hover around 50 percent relative humidity. When the humidity rises above this percentage, bacteria and mold can grow and dust mites will thrive, negatively affecting your health and even destroying your home on a structural level. Therefore, it’s crucial to regularly monitor your home’s relative humidity. For clarity, humidifiers can be broken down into five major categories. There are evaporator humidifiers that blow air over a wet filter. 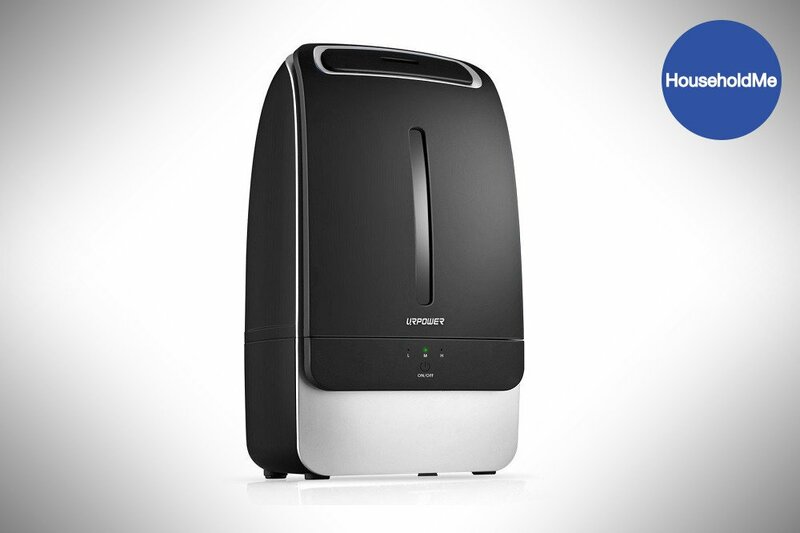 These humidifiers are budget-friendly, yet they are only suitable for one-room humidification. There are also cool-mist impeller humidifiers, which work similar to evaporators. Since impeller models don’t have a filter, it’s best to use distilled water in order to prevent mineral buildup. Like their name suggests, steam humidifiers create steam by boiling water. Some models can be used in conjunction with vaporized medication for cold and flu relief. 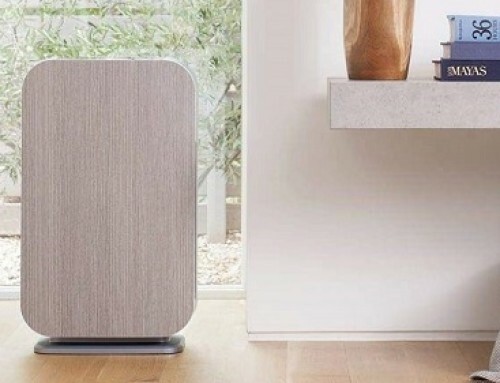 Alternatively, there are cool-mist humidifiers called ultrasonic humidifiers that utilize ultra-quiet high-frequency vibrations to generate mist. 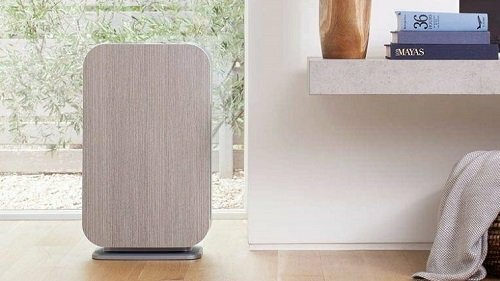 Finally, there are whole-house humidifiers that hook up to an existing HVAC system to deliver humidified air throughout the entire home. As opposed to the other types, whole-house humidifiers require the expense and expertise of a professional installer. 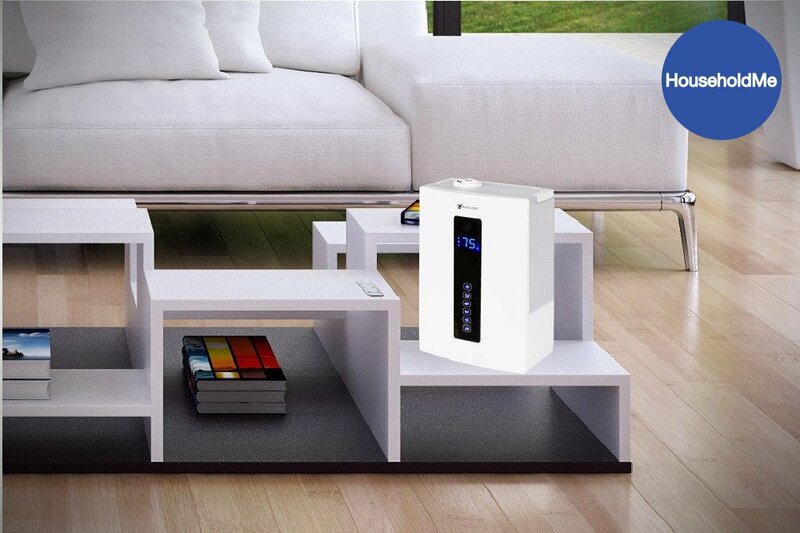 The sole purpose of a whole-house humidifier is to raise the relative humidity of the home in which it’s installed. To get the water they need to function, some models glean it from the home’s plumbing system while others must be manually filled. Either way, these humidifiers push mist throughout the home’s ducts to deliver soothing moisture to every room. Often, whole-house humidifiers are set up near the home’s water heater on in the basement. You can even get one with a humidistat, which adjusts the relative humidity by itself according to the percentage you program. There are four major kinds of whole-house humidifiers you can buy. One type is a steam humidifier. This version heats water to a boiling temperature. Then, it takes the steam made by the water and shoots it into the home’s ducts. One downside to a whole-house steam humidifier is that it requires a ton of energy, driving up your power bill. Another variety is called a bypass humidifier. 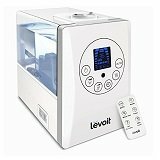 This whole-house humidification machine utilizes the furnace’s heat to warm the water in its reservoir. As a result, mist forms and travels through the home’s vents. 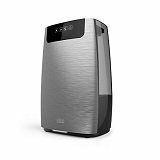 There are also whole-house cool-mist options, such as a fan-powered humidifier that generates mist by blowing air across a panel of water. Unlike steam humidifiers, fan-powered models don’t need hot water to work, so they don’t dramatically impact your electricity bill. Finally, there is the whole-house drum humidifier. Since it is easier and cheaper to install, drum humidifiers are a popular choice among homeowners. However, these machines use a belt-driven motor to evaporate the cold water; therefore, they require periodic belt replacements. When looking at the benefits of whole-house and portable humidifiers, whole-house models have a leg up in certain areas. 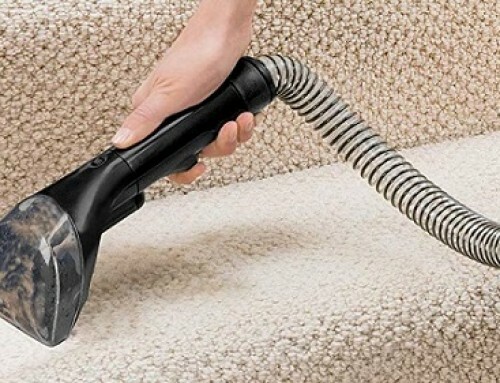 They usually don’t need as much maintenance as portable ones, and their filters tend to last for months without you having to clean or change them. Whole-house humidifiers also use fresh water so quickly that it doesn’t have time to become stagnant and grow dangerous organisms. 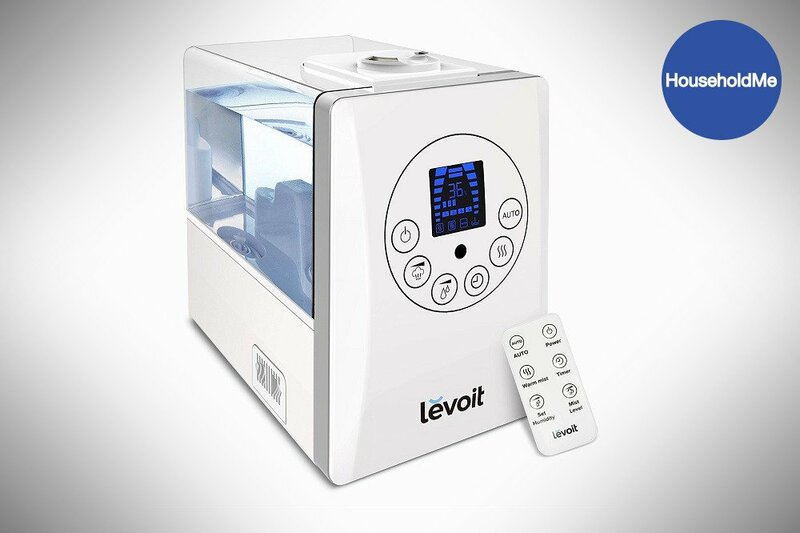 This white, ultra-modern humidifier from Levoit is a sleek addition to any home. It uses ultrasonic technology to produce cool and warm mist while still managing to generate a mere 36 decibels of sound. This humidifier even contains an aromatherapy drawer where you can add your favorite essential oils. 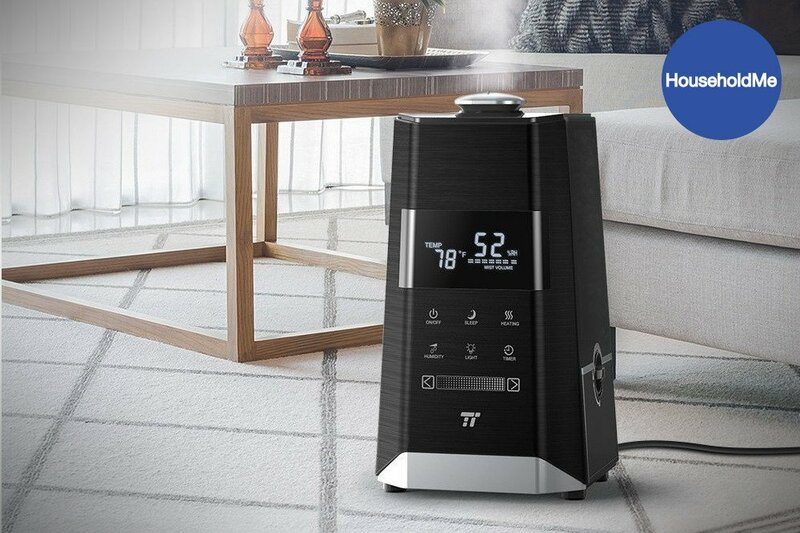 With its 6-liter reservoir, this ultrasonic humidifier is able to release non-stop mist anywhere from 20 to 36 hours from its two adjustable nozzles, covering a 280-square-foot space. The exact time frame of the mist distribution depends on which one of the three mist levels you choose. To help you select the ideal setting, the LED display shows a readout of your home’s relative humidity. Via the large, illustrated touch buttons, you can set the humidistat from 40 to 80 percent, allowing the machine to run in auto mode and change the mist output for you. You can also set a timer up to 12 hours through the touch panel or the remote. When the reservoir runs out of water, the ultrasonic humidifier immediately turns off to protect its internal components. If you value peace and quiet, you’ll love the HumeXL by Pure Enrichment. 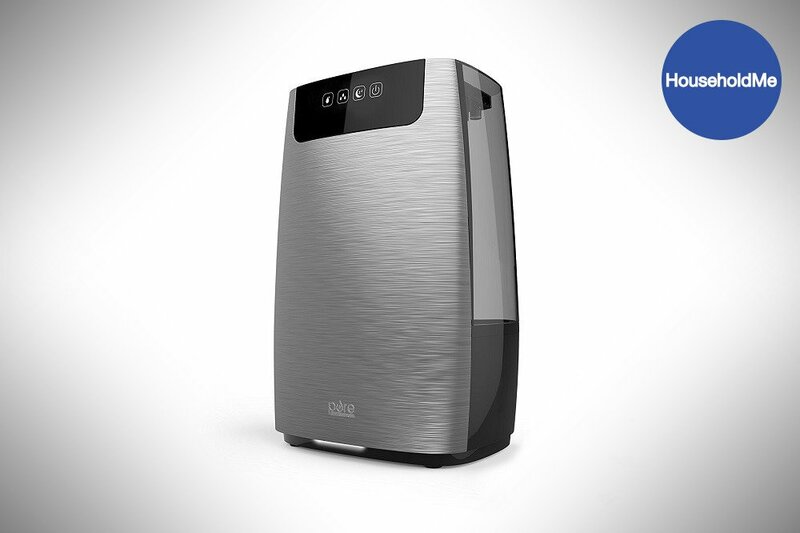 Due to its use of high-frequency ultrasonic vibrations, the cool-mist humidifier never climbs above 35 decibels. 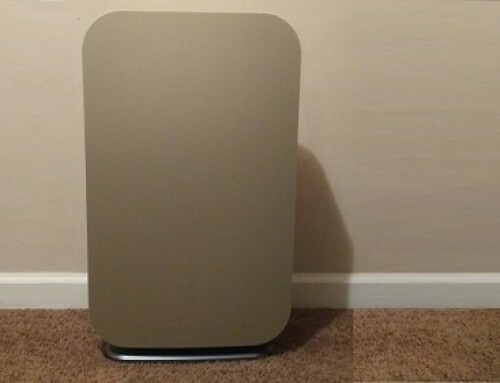 The humidifier also has a soft white light on its underside, which turns off when the machine is in night mode. This brushed-steel beauty can hold 5 liters of water in its tank, which boasts a three-sided viewing window that lets you monitor the water level at a glance. If you’re busy when the reservoir becomes empty, the humidifier automatically shuts down until you refill it. Since the tank has a wide opening, you can fit your whole hand inside, making maintenance a breeze. On the humidifier, there are four touch buttons that let you choose between two mist levels, both of which can fill a 270-square-foot room with mist. In high mist mode, the machine can pump out 50 hours’ worth of mist from the fully rotating nozzles at a speed of 300 milliliters per hour. In low mist mode, you still get 16 hours of mist at a rate of 100 milliliters per hour. The URPOWER MH501 5L Ultrasonic Humidifier is proof that not every modern-style appliance has a complicated set of controls. With its matte black finish and silver accents, it’s hard to believe that only one button controls every function on this cool-mist humidifier. When you short-press the humidifier’s power button, you can cycle among three mist levels to enjoy up to 17 hours of moisturized air. On its highest level, the ultrasonic humidifier delivers 350 milliliters of mist per hour from its wide, built-in nozzle. As soon as the water level gets low, the humidifier shuts down to eliminate the risk of it overheating. Inside of the 5-liter reservoir, there is an integrated filter that keeps the water fresh and clean. To help you carry it, URPOWER added a recessed tote handle on the back of the machine. 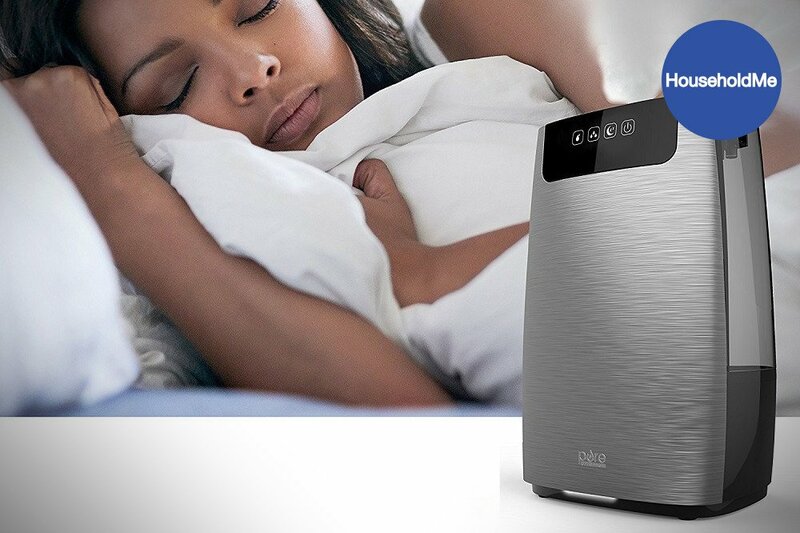 There is even a sleep mode that turns off the machine’s beeps and indicator lights for a peaceful night’s sleep. 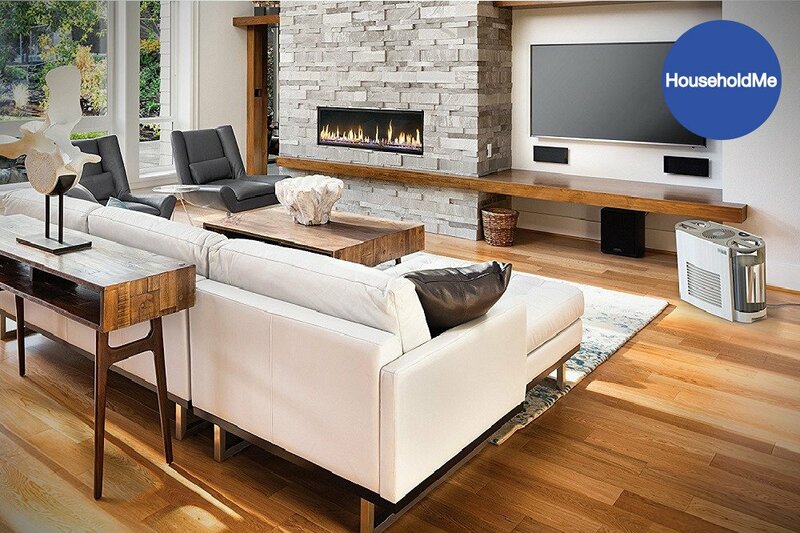 Since the ultrasonic humidifier only draws 30 watts of power, your power bill won’t budge during the winter months. 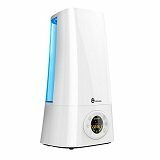 Glossy white and oh-so-contemporary – You’ll love the way this cool-mist ultrasonic humidifier from TaoTronics enhances your home by putting a unique twist on the concept of a mini-tower humidifier. However, it’s much more than just a lovely fixture. Front and center on the humidifier is a circular LED display that’s flanked by six touch buttons. From this control panel, you can set a timer that automatically turns off the humidifier or delays its startup. 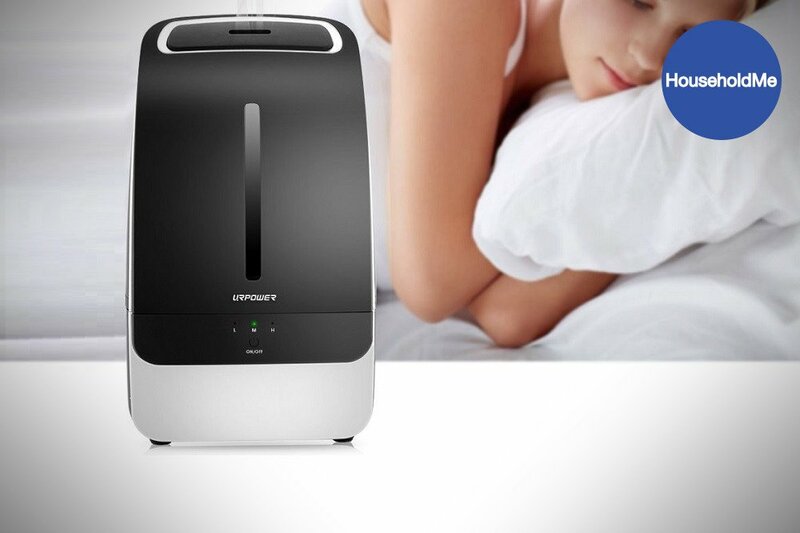 Even though ultrasonic humidifiers are quiet by design, TaoTronics included a sleep mode that makes the machine nearly silent. You may also run the humidifier in auto mode by selecting a humidity level, and there are four levels of mist from which to choose. 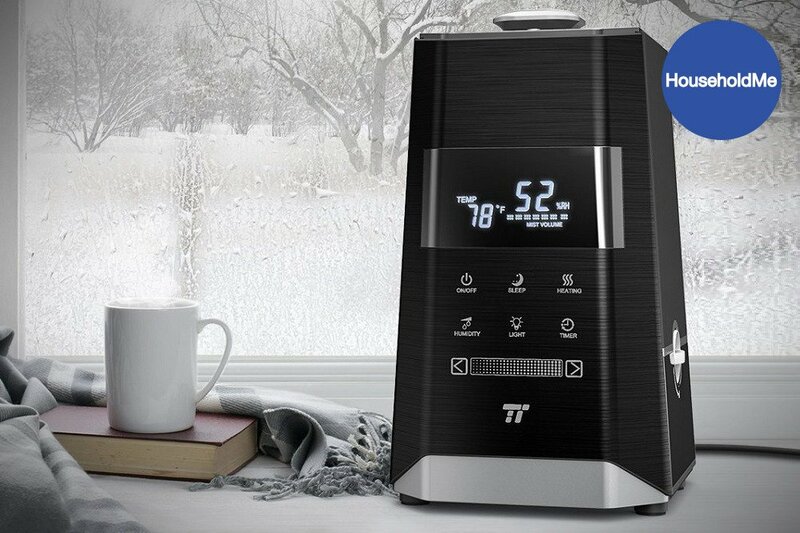 When on the highest mist mode, the ultrasonic humidifier can operate for 24 hours when the 5-liter tank is full. 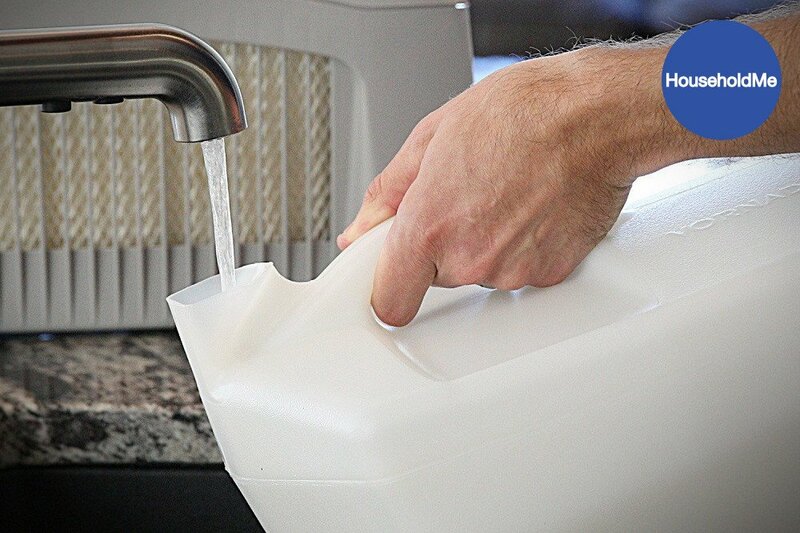 This tank is even equipped with a handle on both ends to make refills a breeze. Plus, the humidifier instantly shuts down when it runs out of water. VAVA included almost every feature you could ever want in a humidifier when it made this model. The black, truncated square pyramid holds 6 liters of water, so you won’t be making many trips to the sink. 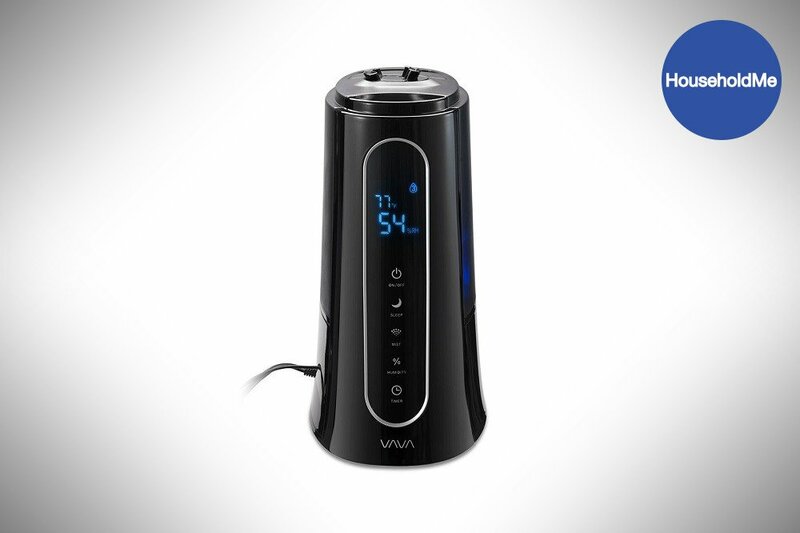 When you do need to refill the VAVA Cool Mist Humidifier, the tank’s hinged handle makes easy work of that task. Although the humidifier produces cool mist, you can press the warm mist button on the touch panel, and the humidifier will heat the water to 100 degrees Fahrenheit in 30 minutes or less. With the touch slider, choosing one of seven mist outputs is effortless and fun. Above the slider, there is a large LED display that shows the room’s current temperature and relative humidity as measured by the accurate external sensor. Other functions available on the touch panel include an LED light toggle button, a programmable humidity level, a timer and a super-quiet sleep mode. You also get the benefit of a built-in filter cartridge and two 360-degree mist nozzles that evenly distribute the mist. Features like the low-water shutoff mechanism and the child safety lock keep the machine and your family safe. A balanced indoor humidity level is crucial to your health. That’s why you need a whole-house humidifier that can deliver consistent, reliable results year round. 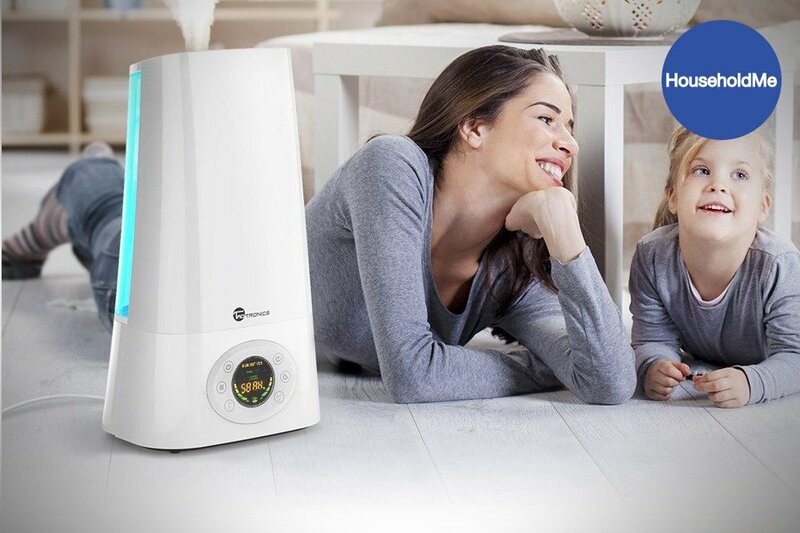 To find one that won’t let you down, we created a detailed guide of the most common features available on top-of-the-line humidifiers, so you can find the best humidifier that fits your budget. 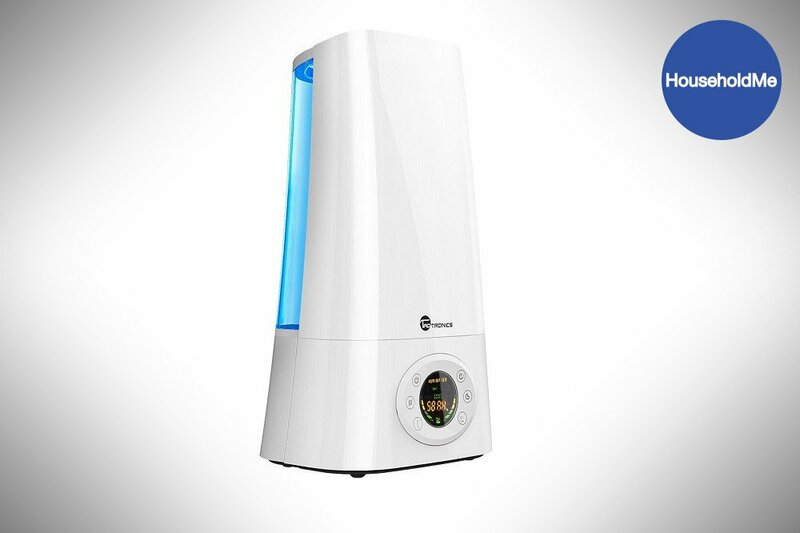 Virtually every high-quality humidifier has a setting that allows you to change how much mist the machine emits. If you don’t want to make those adjustments yourself, many models are equipped with a humidistat that can take care of that for you. The amount of moisture the humidifier puts out depends on the chosen mist level. The bigger the space or the drier the air, the higher the setting needs to be. Higher levels produce more mist; however, it takes longer for a humidifier to run out of water when on a low-mist setting. Often, manufacturers list the humidifier’s mist delivery rate in the model’s specs. While cool-mist humidifiers are the most popular among consumers, some of these machines also offer a warm-mist mode. This feature is great to have when you’re under the weather and need relief from a stuffy nose or a scratchy throat. The time it takes for the humidifier to heat the water correlates with the capacity of its reservoir. Pay close attention to the humidifier’s nozzle configuration. Some machines have one while others have two. The nozzle or nozzles may be stationary or movable. Dual-nozzle setups usually cover the most cubic feet of air, especially if you can rotate them 360 degrees. If you buy a humidifier with only one nozzle, make sure the outlet is wide. You’re a busy person. As such, you don’t have the time to constantly monitor how much water is left in your humidifier’s tank. To reduce the number of fill-ups, opt for a humidifier with at least a 5-liter reservoir. It also helps for the humidifier to have a viewing area that shows the tank’s water level or a timer you can set to turn the machine on or off automatically. The design of the control panels on humidifiers varies greatly from one model to the next. For instance, some have one push button that controls all the functions on the machine while others have a touch panel with a multitude of buttons. A lot of humidifiers also have an LED display that shows the settings you select. What you should choose is entirely up to your personal preference. Humidifiers are machines with moving parts; therefore, it’s impossible to find a completely noiseless one. If you are sensitive to loud sounds, your best bet is to get an ultrasonic humidifier. 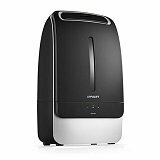 These humidifiers are quieter than other humidifiers such as fan-forced ones, and they never get louder than 40 decibels. Regardless of what appliance you buy, you want it to be safe to use, particularly if you have children or own pets. Most humidifier manufacturers integrate safety features into their products, like an auto-shutoff mechanism that activates when the tank runs out of water or becomes detached from the machine. Some even have a child lock that prevents little ones from pressing buttons. Many people enjoy infusing the air around them with the scents created by essential oils. Although this is not a necessary feature to have, some humidifiers are built with aromatherapy in mind. To accommodate your essential oils, these humidifiers have a special drawer with a sponge that absorbs the oil, sending it to the mist-delivery system. In turn, the mist pushed out of the nozzle will smell like eucalyptus, lavender, sandalwood or whatever scent you’ve chosen.